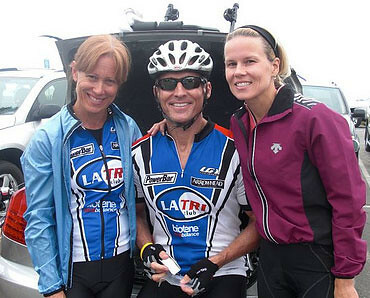 2009 - A popular race since it's so close to LA, and such a beautiful course. Over 200 clubbers traveled North for this annual event. 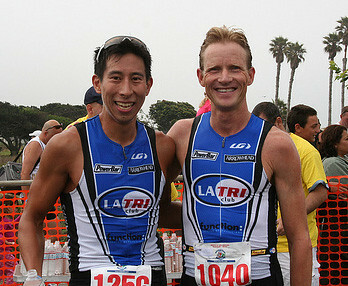 LA Tri Club, with over 1,600 members, has pockets everywhere! Long Beach is no exception. 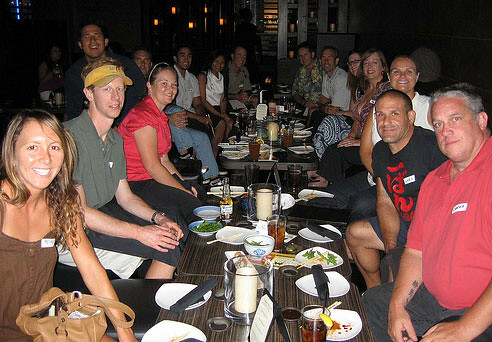 Members there gathered with friends for Happy Hour in Aug.
August first thursday social in Century City attracted over 100 members and friends at Ummba Grill. 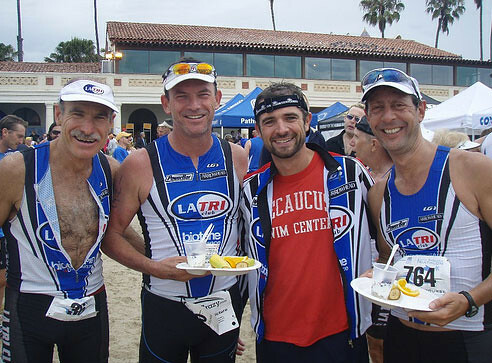 A few dozen LATCers headed North for a little training on the Santa Barbara Triathlon course. SB is a very popular race for the club. 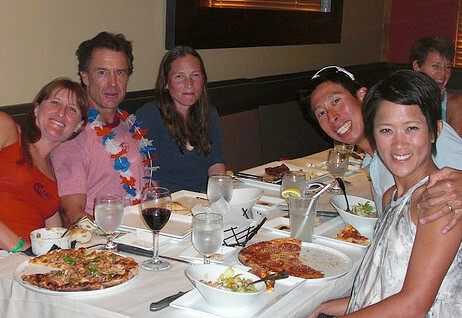 Thank you TriAthletix.com for coaching during this weekend of training! 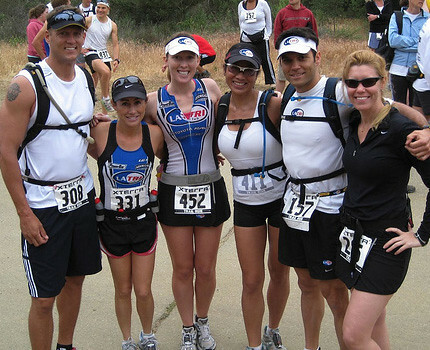 Vineman 2009. 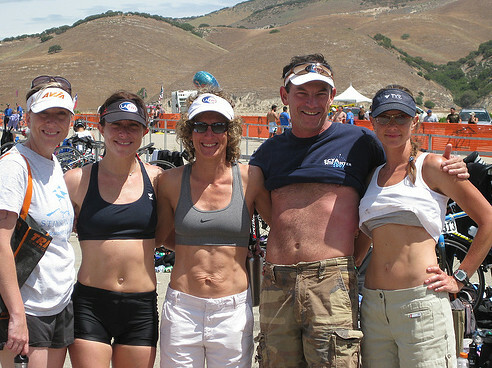 Very popular this year... many members braved the heat in Sonoma to take the finish line in vine country. 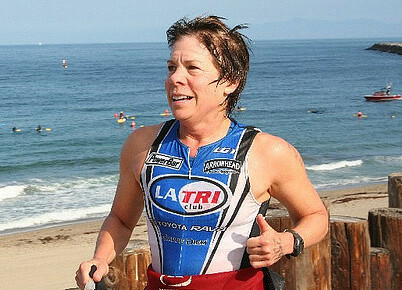 Temps were over 100 for the swim, bike and run. Well done to all who raced!! 071009. 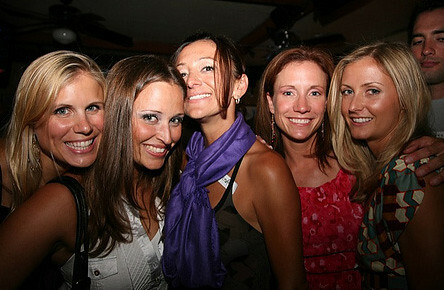 The gals in the club got together at Wolcano in Santa Monica for Happy Hour on July 10th, 2009. Ladies gather for all-girl time a few times a year... a little female bonding. 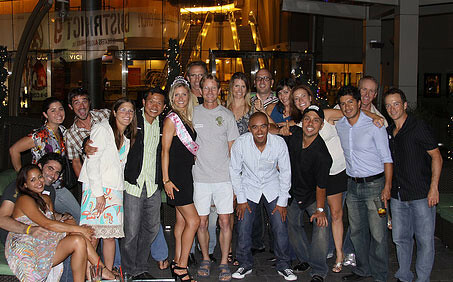 These socials are open to the LATC TriCHICKS as well as any ladies interested in LA Tri Club. All are welcome. Playa del Rey. Over 100 members gathered in Playa del Rey at The Shack for some brew and burgers and to visit outside of a race setting. One or two of these socials take place all over the city each month... locations vary. Always open to both members & non-members. Free of course! Come on out. 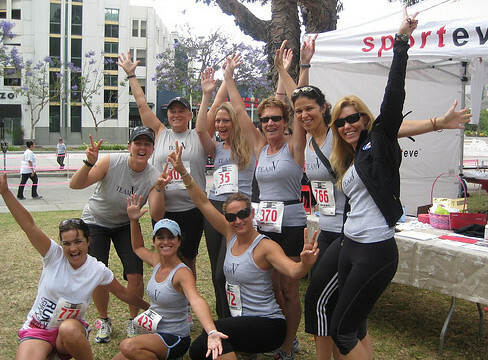 LA Tri Club sponsor SportEve in Culver City puts on this annual 5k event. Tons of fun, and always lots of familiar faces. Run down Washington Blvd between Culver City and Venice. Awesome. Tim Bomba was on the mic as emcee at this event as well. Good times. June 2009. A very popular local race featuring a variety of distances to enter. A few hundred clubbers go out & hit the courses. 2009 - A favorite local event... many clubbers come out to take in the surf and sand as volunteers and racers. 2009. 14-miles of Malibu Trails. Awesome. This event is put on by Generic Events. A couple hundred LATCers headed to Wildflower Triathlons to take in some rain, sun and a weekend of hard racing!